According to the most recent American Time Use Survey, leisure reading in the United States has hit an all-time low. Since 2003, the overall percent of people aged 15 and older reading for pleasure on any given day has dropped from 28 to 19 percent. And the decline in reading among people ages 65+ isn’t any less dramatic. It’s easy to blame the proliferation of digital devices for the decline of reading among younger generations, but how about among more mature audiences? Have we replaced reading books with watching television (as a long-term study from the Netherlands suggests), or does the reason have less to do with other media types and more to do with either a lack of time or maybe compromised eyesight? Whatever the reason, it’s a shame that we’re reading less. Reading offers so many benefits to young and old alike. The good news is that you can reap these benefits even if you don’t have two minutes to sit down with a good book or have vision issues that make reading a challenge. 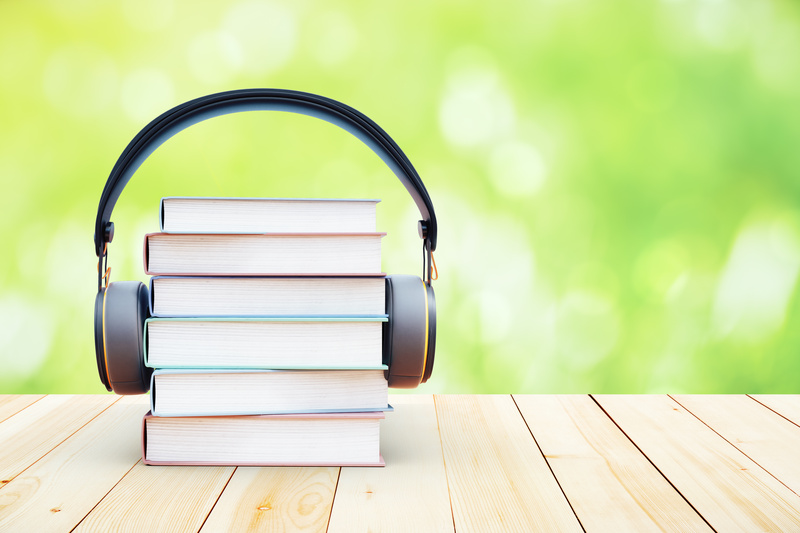 The secret to making reading more accessible is audio books. Some bibliophiles are purists. They wouldn’t be caught dead with a Kindle, always prefer the book to the movie, and consider it “cheating” to listen to a book rather than read it. Audio books allow you to multitask. If you struggle to find time to read in the traditional way, audio books can open up a world of new reading possibilities. You can listen while running the vacuum, making dinner, commuting to work, walking the dog, or even while showering. Many people also enjoy listening to books while doing other creative projects like painting or baking or knitting. Audio books give your eyes a rest. You don’t have to give up reading because of vision issues. The option to listen to a book means you don’t need to worry about eye strain or headaches. Audio books offer an arguably more emotional experience. Hearing someone else read a story (especially one that’s written in first person, such as a memoir) can make the experience more immediate and intimate than reading ink on a page. And today’s audio book productions feature highly skilled voiceover artists who know how to bring a story to life. Audio books allow you to enjoy a story with a friend. It’s fun to listen to a book with someone else. Audio books are great for road trips or even as an alternative to television in the evening. Listening to Books Provides the Same Benefits as Reading Them. If you’re still not convinced, maybe you need a little reminder about all the great things reading does for your mind and wellbeing. (And that holds true whether you’re reading the printed page or listening to a story.) Here are just a few of the reasons you should be reading more. Reading is good for your brain. “Use it or lose it” is no laughing matter. Reading provides cognitive stimulation that helps keep your gray matter in tip-top shape and can even slow the progress of Alzheimer’s and Dementia. Reading specifically helps improve memory. Each new memory you create strengthens existing brain pathways, or synapses, and forms new ones. Reading a book – especially a novel – helps train your brain by making you remember characters, plot lines, story arcs, and details about dialog and settings. Reading helps you relax. There’s nothing like losing yourself in a great story, and studies have shown that reading can reduce stress levels by as much as 68 percent. Reading can help you sleep. Whether you’ve got your nose in a book or are listening to a story with your eyes closed, reading before bed is much more conducive to sleep than zoning out in front of a screen. Reading makes you intellectually and emotionally smarter. Not only does reading increase your knowledge and expand your vocabulary, it can also improve your ability to empathize with others by giving you a way to experience the world through someone else’s eyes. Listening to stories is natural. So many of us started out listening to stories rather than reading them. A parent, grandparent, teacher, or librarian introduced us to the wonderful world of imagination by reading stories to us out loud. The act of listening helped us learn to focus and concentrate even as we immersed ourselves in the joy of a good story. Just because you’re all grown up doesn’t mean you have to give up the pleasure of listening to someone else read you a story. There are countless audio books available today through both paid services like Audible and local library consortiums. So, go ahead—treat yourself to the experience of listening to a book. You may just get hooked, and a world of new reading opportunities will open up for you.